The match is set. The title shall no longer remain vacant. At WrestleMania 34, Cedric Alexander will face Mustafa Ali. The Heart and the Soul, which side will win? This has the potential to steal the show. It is great to see two faces in this match. What we will see is two competitors vying to be the best! Alexander has been close to winning the title, but something has always gotten in the way. Will his moment come at WrestleMania? Only time will tell. I will say this, Henry has probably made the most sense out of anyone who is not ready for a Hogan. He made a great point when he says community service and owning the issue. 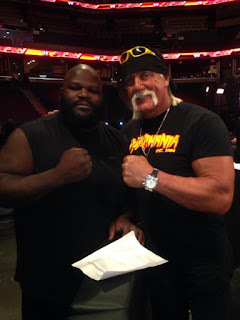 Hopefully, Hogan will listen. Keith Lee defeated Chuck Taylor to win the PWG Championship. Next week he will challenge ACH for the AAW Pro Heavyweight Championship. Moose Will Feast on Impact Wrestling. Last week, Impact Wrestling saw four superstars open their briefcases. Inside the cases was a feast or fired card. 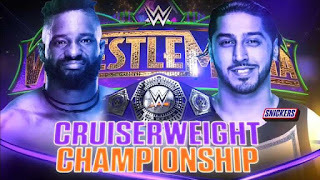 If they feasted, they received the title match that was on their card. If they were feasting, they were fired. Moose was one of the final two briefcases holders. 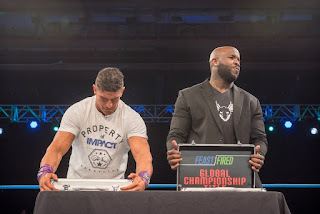 He and EC3 were supposed to open theirs at the same time, but EC3 waited, after the reaction from everyone else, he learned that Moose would receive a shot at the Global Championship while he would be fired. In a recent vlog, Fred Rosser (formerly known as Darren Young) discusses how his uncle helped Bret Hart a lot when Hart was diagnosed with prostate cancer. He also talks about his love for the Hart family as a whole. 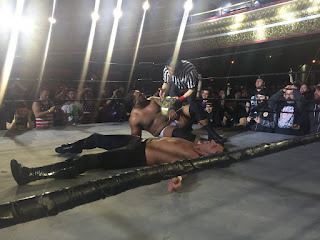 Owen Knight retains his Viral Pro Outbreak Championship in a win over Sean Legacy at Legends of Wrestling Invade Augusta Georgia. Subscribe to The Wrestling Wrealm on YouTube.